On a dreary, rainy Monday afternoon, with snow still blanketing the ground, Hardywood Park Craft Brewery’s crew and Gov. 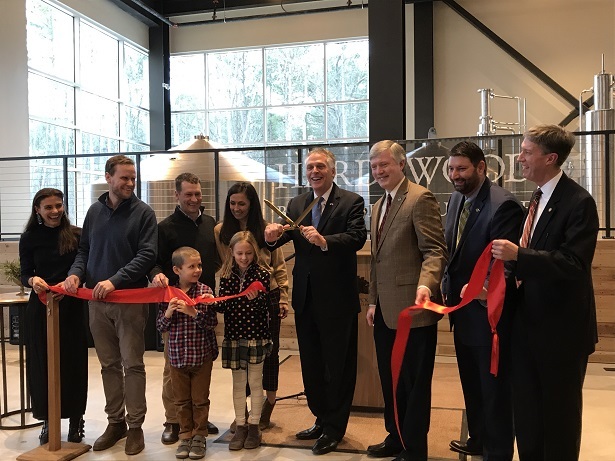 Terry McAuliffe held the official ribbon cutting for the brewery’s new location in Goochland. Hardywood West Creek, which is nestled on 24 acres overlooking Tuckahoe Creek just off of 288, held their groundbreaking on the property back in November 2015 and will finally open its doors to the public this April. A cedar interior and exterior with high ceilings made of pine, all taken off of the property coupled with the lighting and architecture give the brewery a warmth, making it feel and look much more like a lodge or cozy cabin in the woods, but much bigger and with beer. 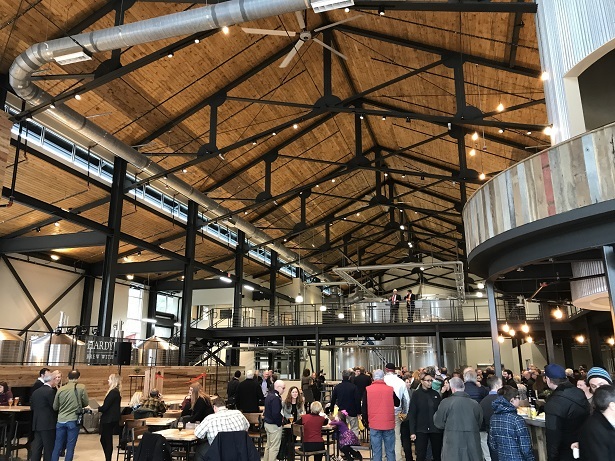 The 55,000 square-foot brewery features a 4,000 square-foot taproom, mezzanine area, outdoor patio and beer garden with a 60-barrel brew system which will allow Hardywood to produce 35,000 barrels annually at capacity. Gov. 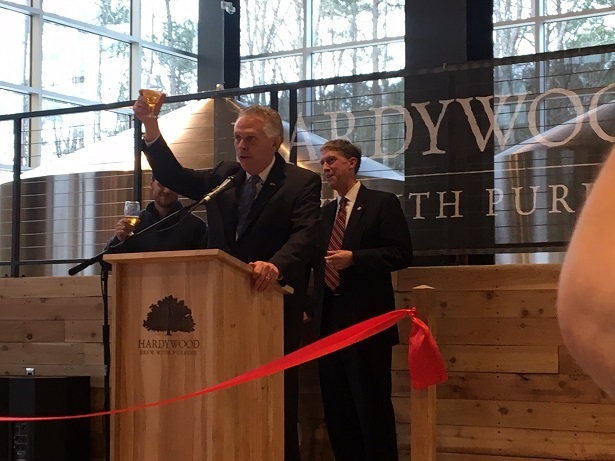 Terry McAuliffe gave his final remarks as governor touching on the craft beer industry in Virginia, and its impact on the local and regional economy. Of course, he also raised a glass one last time in honor of his personal love of craft beer. Co-owner Eric McKay echoed McAuliffe’s remarks on the economy and his support of the brewery since he’s been in office. “I think, a lot of politicians sometimes get nervous when dealing with something with alcohol, I think he’s done a good job of seeing the bigger picture, and understanding how deep the economic impact can be…” he said. 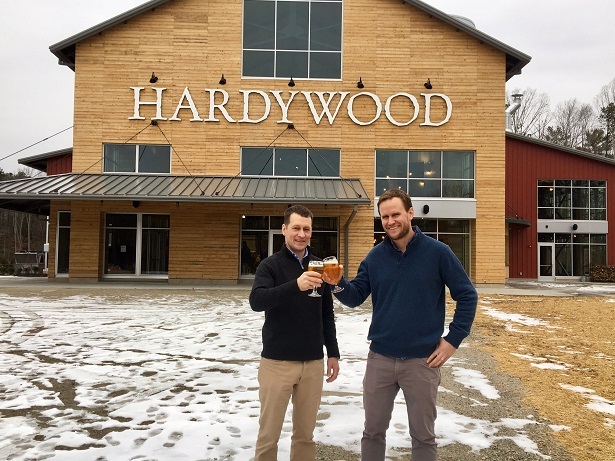 “Beyond that, something that Hardywood’s made a great effort to do, and hopefully we become stewards to a degree of, is sourcing as much local as we can,” he said. At this location, Hardywood will have 18 beers on tap sourcing many of their ingredients such as barley, ginger, honey, blackberries, and raspberries from Virginia. “Those are all things that are driving job creation and driving economic impact,” McKay said. The West Creek location will start off brewing the flagships like the VIPA, Pils, and Hardywood Singel, along with the Virginia Roots Series, but co-owner Patrick Murtaugh said they will expand on their beers from there. 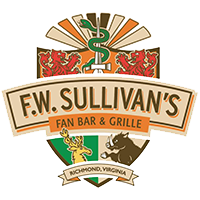 “Keeping our Richmond facility running too, that will help us brew some smaller-batch stuff that we can put on draft here and send some smaller production brews into the market,” Murtaugh said. Murtaugh also mentioned a brew called Richmond Lager, which the two started tinkering around with this year, will get brewed there and be put out for distribution. 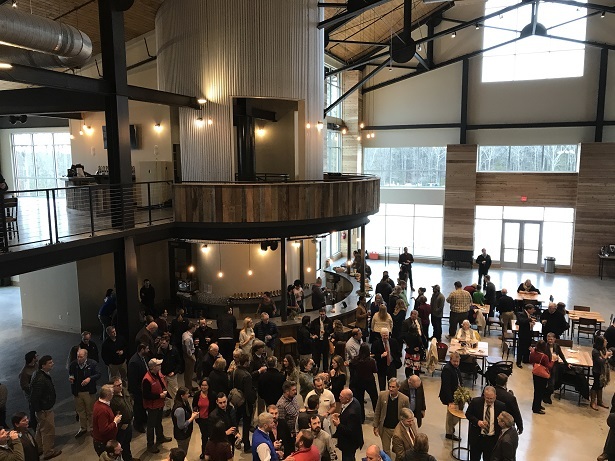 According to McKay, about 20 percent of the Scott’s Addition brewery’s visitors hail from out of state, and he expects that to continue at the Goochland facility, giving a big boost to the local tourism economy, along with the 60 jobs the $28 million facility will create. The Goochland facility will also allow them to host bigger events and potentially bigger acts, drawing more people to the area. Hardywood West Creek will mark the third location for the Hardywood Park Craft Brewery, which opened in 2011 on Ownby Lane. Their Charlottesville facility opened last February and the Goochland facility, located at 820 Sanctuary Trail Drive, will officially open April 6. The Justice Department announced recently that it is going to end the Consideration of Deferred Action for Childhood Arrivals (DACA), a program that allowed undocumented immigrants who came to the U.S. as children to remain in the country if they fulfilled certain requirements. 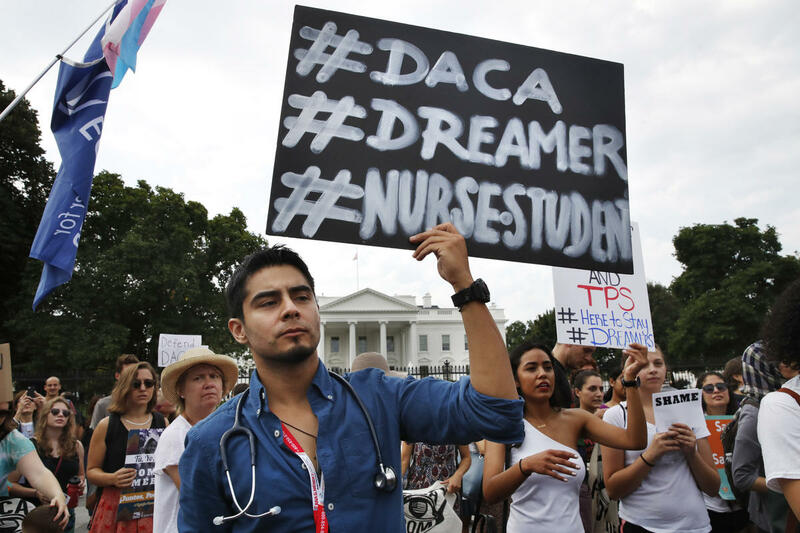 Recipients of DACA, often called DREAMers, are young people who were brought to the United States at an early age without proper immigration documentation. In order to receive DACA status, a young person must come forward and apply for deferred action. To qualify, the applicant must have been brought to the United States at a young age, continually resided in the United States for the last ten years, be in school or the military, and have a clean criminal record. If and when the program is ended 800,000 people nationwide would be affected and 12,000 of those are in Virginia. “Before we ask what is fair to illegal immigrants, we must also ask what is fair to American families, students, taxpayers, and jobseekers,” President Trump said in a statement announcing the end of the Obama-era program. Many state politicians, local non-profits, and even a few young people currently residing in Richmond have responded to Trump’s decision, which is set to go into effect in six months. Virginia Commonwealth University (VCU) President Michael Rao recently spoke out in support of students currently enrolled under DACA. 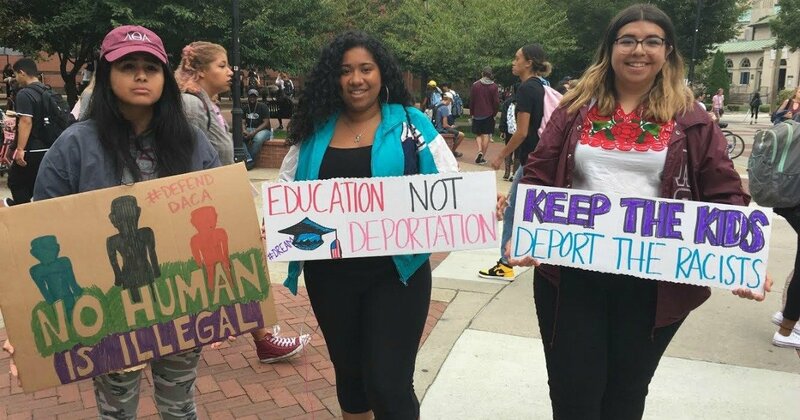 On Sept. 7, a group of DACA students held a rally in front of VCU’s James Branch Cabell Library to voice their opposition and stand in solidarity with everyone impacted by the decision. And at the end of last month, the DREAMERS of Virginia, an organization that advocates for immigration rights, completed a 70-mile walk from Charlottesville to Richmond in support of immigration. This decision also affects individuals within Richmond’s music scene. Andreas Magnusson is a music producer who works with musicians from all over the world, including bands such as Black Dahlia Murder and Haste The Day. Magnusson originally came to the United States when his mother got a loan from Sweden to study computer science. Becoming attached to the US by the time she earned her associate’s degree, Magnusson and his mother moved to Richmond as she went on to earn her master’s degree under a student visa. Magnusson was entering the third grade when they moved to Richmond. After finishing school, Magnusson’s mother obtained a H1-B visa, which allows immigrants that have specialized knowledge to work for their employer in the U.S. By the time they submitted their green card application, it got denied due to a piece of paper work being expired by a few months. By the time the paperwork was approved, Magnusson was over the age of 21, and couldn’t obtain a green card through his mother. “The second that happened, I was here illegally,” Magnusson said. Magnusson applied for DACA as soon as it was introduced, and was able to obtain a driver’s license, which he wasn’t allowed to have before DACA was implemented. In addition to paying taxes, Magnusson pays for an immigration lawyer, who he’s had since he was 10 years old. Immigration lawyers tend to nickel-and-dime people who need their services, Magnusson said. Because DACA participants are not allowed to travel outside of the U.S., Magnusson has not been able to travel back to Sweden in over a decade. Despite his situation, Magnusson claims that some people are more sympathetic to him than they would be if they had spoken to a person of color who lives under DACA. 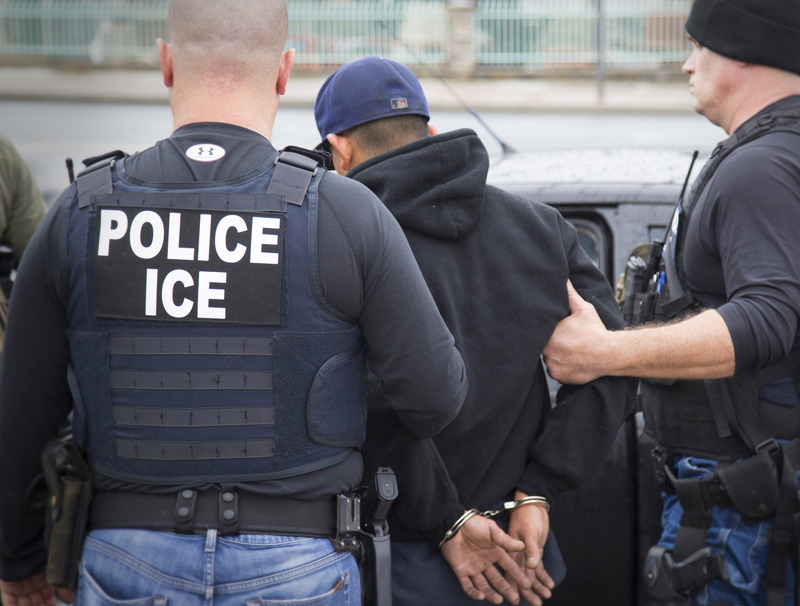 Racial profiling plays a major factor in deciding who gets targeted for deportation, the member said. Despite allowing some immigrants to stay in the country, the member believes that DACA has helped perpetuate the idea of someone being a “good” or “bad” immigrant. The member also said that no matter what legislation is being passed, the parents of the documented immigrants will always be negatively impacted. “They’re ultimately the ones at risk no matter what policies or legislation is passed,” the member said. On Sept. 12, ICE Out of RVA held a demonstration outside of ICE’s Richmond office in response to the DACA decision, as well as in response to “Operation Mega”, a nationwide operation that planned to target 8,400 undocumented immigrants. The operation would have taken place over the course of five days starting on September 17, but was canceled due to Hurricanes Irma and Harvey, according to NBC News. On the state level, Attorney General Mark Herring announced last week that he has joined 15 other state attorneys general in filing a lawsuit against the decision. The lawsuit argues that the termination of DACA violates equal protection and due process laws. Besides Virginia, Connecticut, Delaware, the District of Columbia, Hawaii, Illinois, Iowa, Massachusetts, New Mexico, New York, North Carolina, Oregon, Pennsylvania, Rhode Island, Vermont, and Washington are among the states that have filed the complaint. Any DACA application submitted after Sept. 5 will no longer be accepted, according to U.S. Citizenship and Immigration Services. Two United Nations (UN) human rights officials have asked Gov. Terry McAuliffe to halt today’s execution by lethal injection of William C. Morva, 35, a US Hungarian national. In 2006 after being held at the Montgomery County Jail on robbery charges, Morva injured himself in his cell and requested to be taken to the hospital. Once there, he killed an unarmed security guard while escaping and later shot and killed a sheriff’s deputy who was searching for him near Virginia Tech’s Blacksburg campus. Morva’s lawyers are also asking for clemency from McAuliffe. According to his legal team, Morva suffers from mental illness and delusional disorders, which impaired his judgement and provoked him to act fearfully when he was being held at the Montgomery County Jail. Morva’s lawyers further argued that the jury was given false information about their client’s mental state. One of Morva’s lawyers, Dawn Davidson was thankful for the United Nations’ announcement, which accompanied a petition of 34,000 people who have asked McAuliffe to stay the execution. 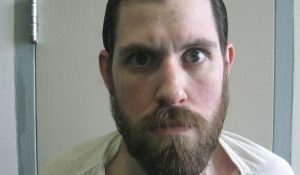 Davidson went on to clarify that his severe psychotic disorders provoked him to commit his original crimes, and his subsequent treatment by the Montgomery County Jail led him to feel endangered and thus commit more violence. Virginia is currently tied with Oklahoma as the state with the second highest number of executions. However, if today’s lethal injection takes place, Virginia will surpass Oklahoma in total number of executions since 1976. Texas remains at the top of this list with 542 executions since June 2017. The US ranks fifth worldwide in total number of annual executions, averaging 28 per year – with more than 2,800 people remaining on death row in the U.S. While the US still falls well behind other countries in the total number of executions, it remains the only western country that still routinely executes prisoners. The debate over capital punishment has been ongoing for decades, yet with the UN’s involvement this becomes another high profile case in the national debate. McAuliffe, has previously commuted death sentences to life without parole and granted clemency to other criminals, yet his decision on the Morva case will set the precedent for his predecessor – either Republican Ed Gillespie or Democrat Ralph Northam. Like many death penalty cases, the decision on Morva’s life will be based off a multi-faceted timeline, trial, and ultimately a decision to intervene (or not) by the governor. Whether or not Gov. McAuliffe will take the last minute recommendation of the United Nations remains to be seen. Morva is set to be executed tonight at 9 pm at the Greensville Correctional Center in Jarratt, Virginia. With the water crisis in Flint, Michigan, safe drinking water is a high priority nationwide, especially for children. Beginning July 1, schools in Virginia will be required to test their potable water for lead. RICHMOND – Gov. Terry McAuliffe has proposed an amendment to restore Virginia’s “one handgun a month” law. The amendment would make it a Class 1 misdemeanor for anyone other than a licensed firearms dealer to purchase more than one handgun within a 30-day period. Earlier this month, 24 people, including 22 from Virginia, were arrested on gun-smuggling charges. They transported more than 200 weapons north on Interstate 95 to New York, law enforcement officials said. New York officials have urged Virginia to take action. “When you hear a trafficker boasting about the weak gun laws in Virginia, it is crystal clear that this needs to be addressed,” Brooklyn District Attorney Eric Gonzalez told The New York Times. Virginia Attorney General Mark Herring, a Democrat, said he supports reinstating the “one handgun a month” law. McAuliffe proposed amending Senate Bill 1023 to include a one-a-month limit on handgun purchases in Virginia. The bill would prohibit Virginia from sharing information about its concealed handgun permit holders with states that do not recognize Virginia’s permits as valid within their borders. Sen. Richard Stuart, R-Stafford, sponsored SB 1023. He called the governor’s amendment disingenuous. The General Assembly will reconvene on April 5 to consider McAuliffe’s vetoes and recommendations. Republicans control the House and Senate and are unlikely to agree to the “one handgun a month” proposal, Stuart said. RICHMOND – Gov. Terry McAuliffe on Thursday vetoed several bills that Republicans say would have increased school choice but McAuliffe said would have undermined public schools. Two bills, House Bill 1400 and Senate Bill 1240, would have established the Board of Virginia Virtual School as an agency in the executive branch of state government to oversee online education in kindergarten through high school. Currently, online courses fall under the Virginia Board of Education. “In establishing the Virginia Virtual School outside of the jurisdiction of the Board of Education, and most importantly, local school boards, this legislation raises significant constitutional concerns,” McAuliffe stated in his veto statement. HB 1400 was sponsored by Del. Dickie Bell, R-Staunton, and SB 1240 by Sen. Siobhan Dunnavant, R-Henrico. The bills were identical to legislation the governor vetoed last year. McAuliffe also vetoed HB 2342 and SB 1283, which would have authorized the State Board of Education to allow local school boards to collaborate in establishing regional charter schools. Charter schools are public schools that operate independently and are exempt from certain policies regular schools must follow. HB 2342 was sponsored by Del. Steve Landes, R-Augusta. Sen Mark Obenshain, R-Rockingham, sponsored SB 1283. Obenshain was disappointed in the Democratic governor’s decision. Obenshain said charter schools provide parents with a choice when their local schools are failing. · HB 1605, sponsored by Del. Dave LaRock, R-Loudoun. It which would have established “Parental Choice Education Savings Accounts.” The governor said such savings accounts would divert state funds from public schools and redirect them for educational services outside of the public school system. · HB 2191, introduced by Landes. It would have required school boards to notify parents of any material assigned to students that could be deemed as sexually explicit. Schools would have had to provide substitute materials if the parents requested. Ed Gillespie, who is seeking the Republican nomination for governor in this year’s election, criticized McAuliffe for vetoing the bills.